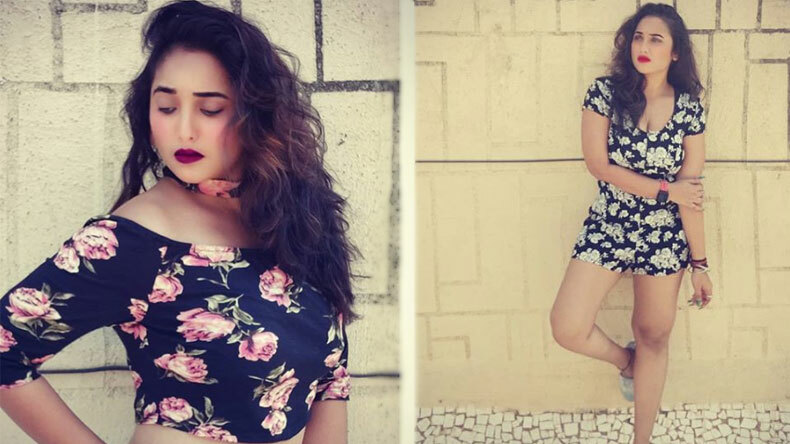 Rani Chatterjee who is all set to make you all fall in love with her more by featuring in Anjana Singh starrer Chotki Thakurayin, took to her official Instagram handle to share her party-ready photo in a short black coloured dress. Well, the lady who us often spotted working out in the gym, looks beautiful in her latest Instagram post that has already garnered over 4k hearts so far. The Sasura Bada Paisawala actress rose to limelight with her very first Bhojpuri film in 2004. Ever since her debut, Chatterjee has been making her fanbase go gaga with her sultry dance moves and sensuous expressions. The stunning lady is all set to make you all fall in love with her more by upcoming project Chotki Thakurayin starring Anjana Singh. Apart from this, she will appear in Rani Ki Hukumat, Jab Jab Khoon Pukare, Kanoon Ke Khiladdi, Rani Ki Aayegi Baraat and Chor Machaye Shor.